Then Dexter is summoned to investigate the disappearance of an eighteen-year-old girl who seems to have been abducted by a bizarre group…who just may be vampires…and – possibly – cannibals. Nothing like the familiar hum of his day job to get Dexter’s creative dark juices flowing again. Assisting his bull-in-a-china-shop detective sister, Deborah, Dex wades into an investigation that gets more disturbing by the moment. 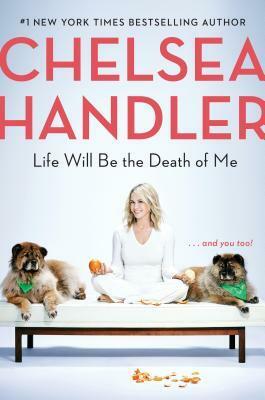 And to compound the complication of Dexter’s ever-more-complicated life, a person from his past suddenly reappears…moving dangerously close to his home turf and threatening to destroy the one thing tat has maintained Dexter’s pretend human cover and kept him out of the electric chair: his new family. From an uncharacteristically racy encounter in the Florida Everglades to the most bizarre fringe nightclub in the anything-goes Miami scene, Dexter Is Delicious is an ingenious journey through the dark recesses of Dexter’s lovably cold soul. 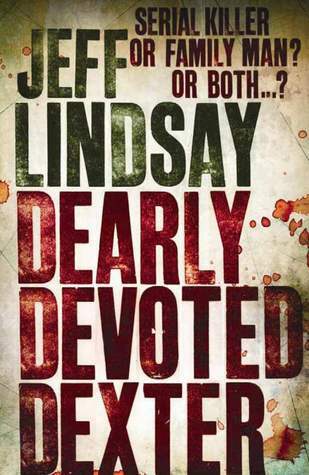 So this Dexter novel was definitely better than the last two but still didn’t blow me away. I did like the main story about the vampires and cannibalism. It was the first time the book felt like it focused on the police case more so then on Dexter. While I did enjoy more details about that I didn’t like the reason why. Dexter has a baby and all of a sudden he is no longer a killer? That is the dumbest thing ever. I mean I read that and was seriously annoyed. So much so that I thought I would hate the book. 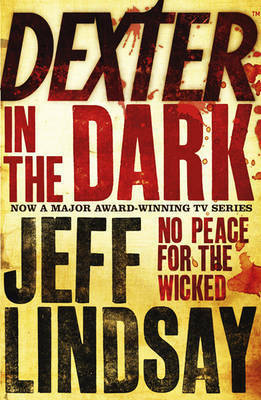 Luckily the other story was good enough to keep my interest and the end had me back on board as far as Dexter goes. I am still baffled as to why the books and show are SO extremely different aside from the first book. Not sure why Lindsay would be ok with the television producers taking that much liberty with his work. If I didn’t have this thing with finishing book series I probably would have stopped after book 3 but I am going to see it through until the end. Since the books are so different from the show I am actual curious with how Lindsay will end the series. The macabre, witty New York Times bestselling series (and inspiration for the #1 Showtime series, Dexter) continues as our darkly lovable killer matches wits with a sadistic artiste–who is creating bizarre murder tableaux of his own all over Miami. After his surprisingly glorious honeymoon in Paris, life is almost normal for Dexter Morgan. Married life seems to agree with him: he’s devoted to his bride, his stomach is full, and his homicidal hobbies are nicely under control. But old habits die hard–and Dexter’s work as a blood spatter analyst never fails to offer new temptations that appeal to his offbeat sense of justice…and his Dark Passenger still waits to hunt with him in the moonlight. I have started to notice that the further I am getting into this series the harder the books are to review. They all have the same sort of premise, nothing new to really review each time. I will say this book was definitely better than the last one, thank goodness. It still was a little too far fetched for me but at least it was more realistic than the last one. I have to say I don’t remember the TV series that well but I feel like aside from the first book these other books are NOTHING like the show. It seems that all the show took were the character names and the fact that Dexter was a serial killer that only kills bad guys. Maybe I just don’t remember the show but I feel like I am accurate in my thoughts. I’ll have to go watch the show again to know for sure. The TV show seems heads above the books which is unusual for me to think. I am halfway through the series so I am of course going to finish but I really thought I would enjoy this series more than I am. In his work as a Miami crime scene investigator, Dexter Morgan is accustomed to seeing evil deeds…particularly because, on occasion, he rather enjoys committing them himself. Guided by his dark Passenger – the voice inside him that helps stalk his prey – he lives his outwardly normal life adhering to one simple rule: he only kills very bad people. Dexter slides through life undetected, working as a blood splatter analyst for the Miami Police Department, helping his fiancee raise her two adorable (if somewhat…unique) children, and always planning his next jaunt as Dexter the Dark Avenger under the light of the full moon. More used to inspiring fear then experiencing it, Dex must investigate, while simultaneously coping with is demanding family. If he’s to save himself, and those around him, Dexter must pose questions he’s never dared ask – where does evil come from, and does it hide inside everyone…? Of the three books that I have read in this series this is my least favorite BY FAR! I really did not like the concept of this story, especially compared to the first two. It veered waaaaaaay of course. The idea of Dexter’s Dark Passenger leaving him and then the mythical story line of Moloch it was just way too far fetched for me. I liked the first two books (and the TV show) because they are realistic, this book was just too out there. Not to mention nothing exciting happened. I was very disappointed. I am hoping book #4 is better. Like the first book in the series this one was entertaining enough. I don’t know if I would like them as much had I not already seen the TV show and loved that so much. Lindsay’s writing isn’t that strong and he tries to fit a lot into a book so he skips over needed details. I enjoyed the story in this book better than the first. If you are a fan of the show I would say the books are worth reading. I plan to read the rest of the series and then I want to go back and re-watch the show. I would give this one a 3.5 like I did the first book.